Curbless showers are mysterious. Figuring out how and where to find an attractive one-level curbless shower system, and a proficient contractor to install it, feel like a huge task. An ‘open’ shower that’s characterized by a clean, minimalist design. 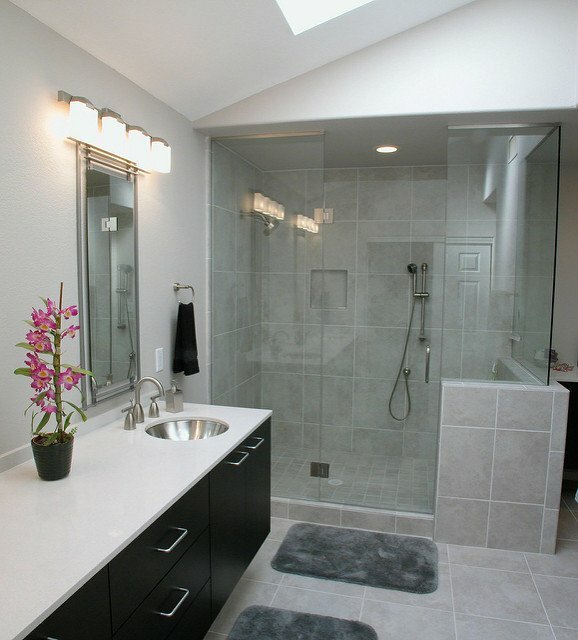 Curbless showers often have a glass door for a seamless look, or make use of a shower curtain to create privacy. They are safe, modernistic, and easily accessible. 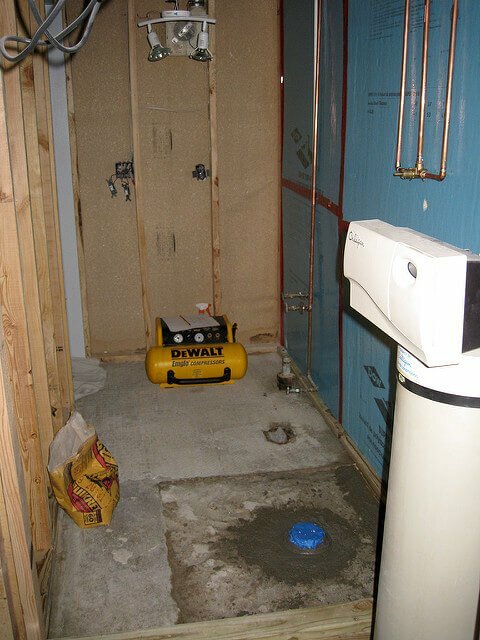 In this article, my goal is to give you -as Joe Friday on Dragnet used to say, “Just the facts Ma’am (or sir).” We’ll look at 5 facts you absolutely need to know before remodeling your bathroom with a one-level curbless shower. It could be for yourself, your Mom, Dad, or any other family member. When you think of a white fiberglass roll in shower, what thoughts do you have? The first thing which comes to my mind is sterile hospital rooms. With ugly silver grab bars that are perfect for geriatric patients. Not exactly the look I’m going for — in an updated remodel. I want my shower to have a sleek, contemporary design. One with large format tiles which cut down grout joints, so my scrub brush can stay where it belongs – inside the drawer, not in my hand (as much as possible). The good news is that one-level showers don’t have to be ugly or geriatric-looking. And, European and Asian markets have known this for years. One way to get a sleek one-level shower system is to design it with an ‘almost’ invisible shower pan. You may be asking, ‘what is an almost invisible shower pan?” It’s a pan which is set directly on the joists, then the tile is adhered to the top of the base. Therefore, this type of shower pan, aka one-level wet room, creates a finished shower and bathroom which is minimalist, sleek, and modern. This space DOES NOT look ugly. It’s fashion-forward – yet safe. Here’s what’s interesting about one-level shower. Since they aren’t defined, or confined, by a fixed amount of space (unlike a shower enclosure – which is typically 60” x 30” in a 5’ x 8’ bathroom) — they can be virtually any size you want. Let me explain how it’s done. Using a product called a base former, a sloped floor of the shower is created by a tray or pan set on your floor joists or concrete floor. After the base former is installed, the entire bathroom floor is waterproofed. It leaves choosing the shower location completely under your control. 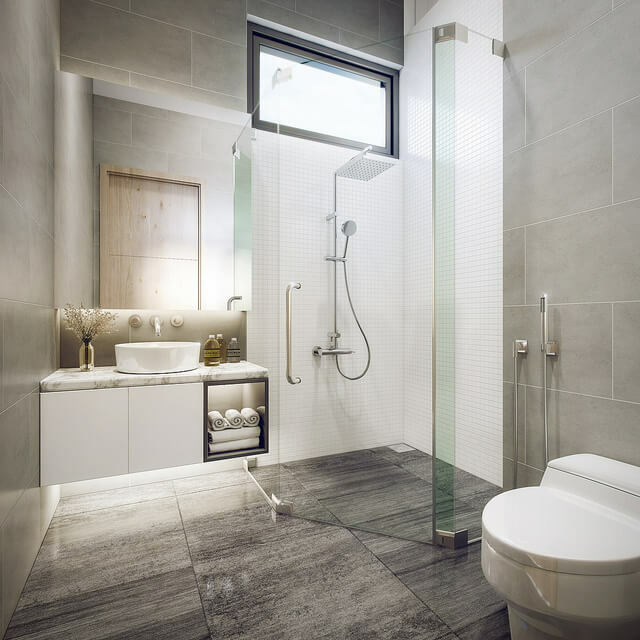 Open walk-in showers are a rage – but having a glass door will make your shower warmer. Since one-level bathroom systems waterproof the entire floor, you can put your shower in any location and use any type of shower door system. Frameless, semi-frameless or low-cost framed doors — your choice. You’ll know you’ve got an ‘old-school’ contractor the moment they start talking about wanting to ‘drop the shower floor’ for your one-level bathroom. By dropping the floor, they are not going to pick it up and lower it down a few inches (although it creates a funny visual). What these contractors are referring to is cutting into your floor joists, then creating an area to pour concrete for a new (even with the floor) shower base. This process undermines the support of your home, is labor-intensive and, prone to failure. And, you are ready to install your floor tiles. What’s also cool is that you can use a 2” square drain and strainer cover or a sleek linear drain. The linear, or trough drain as some call it, also allows you to use large floor tiles. It effectively cuts down the number of joints. Now – you may be wondering how do you get one of these cutting-edge curbless showers installed if you live in a town with a bunch of old-school Podunk contractors? 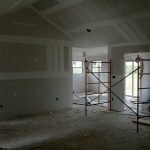 In these situations, I would recommend first researching the products and watching installation videos on them so you can explain the process to your contractor of choice. If he still refuses to do the job, consider doing the installation yourself. But, do contract the plumbing to avoid hassles. Fact #5 – There are numerous one-level shower systems on the market. When people think of curbless showers, the vision which comes to mind is unattractive, white and plastic-looking. However, it’s nice to know that with today’s options – this old-style concept is far from reality. Here are 3 choices in barrier-free showers which are not only nice to look at – but waterproof as well. These engineered stone pans come in 51 different colors, are made with a mixture of aggregates and epoxy and offer the ultimate in durability. Combine this with the fact that they can be custom-designed for any space — and you have a fast-growing type of shower pan. Since they are grout-less, this is a big bonus for people who are tired of cleaning grout joints. Expanded polystyrene ready-for-tile pans are set directly on your wood or concrete slabs or subfloor. They are manufactured in any size and have the flexibility of using a standard or linear drain. 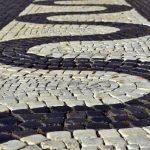 Installation is simple, and the ramped curb can come in any size. As previously discussed, this system uses a shower-base former and a wet-room kit to waterproof your entire bathroom. Their advantages include sizing flexibility and they work well in either an open shower or a fully enclosed one. One-level barrier-free showers do not have to be mysterious or unattractive anymore. Choose from one of the 3 systems mentioned in the fifth fact above – no matter how big or small your bathroom is. Put in a glass or fibre transparent door – or use an open walk-in concept. The choice is yours. Installing a one-level shower no longer has to freak you or your contractor out. 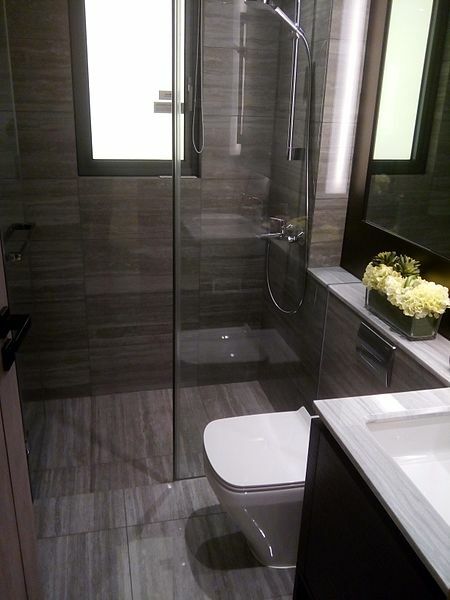 Solid-surface, ready-for-tile, and wet-room systems are not at all difficult to install. Now that you have the facts, are you game to put in a one-level shower in your home? Mike Foti is President of Innovate Building Solutions – a nationwide wholesaler of unique shower products and a bathroom remodeling contractor in Cleveland and Columbus Ohio. He can be reached at 877-668-5888. Hi Mike, it really helped when you said that barrier-free showers do not require old school installation methods. However, if you were to ask me, I still prefer those professional to do it for me. My mom has this slight difficulty in walking so I want to have it in her home. Hey Mike, You provide a great fact. It is great that you show 5 facts about the curbless shower. I think your post will be really helpful for people. I have also necessary for your informative news. Because I want to make a curbless shower for my wife.